iPhone and iPad do not feature microSD expansion. That’s where an MFi certified flash drive comes in. And it happens to be pretty cheap today. Just $24. There’s nothing more frustrating than going out on a trip, snapping a few photos and videos only to realize that you have run out of storage. If you are an Android user, you have the straight up luxury of expanding on the storage capabilities of your phone by just buying a new microSD card. But on an iPhone or iPad, things are a little different. 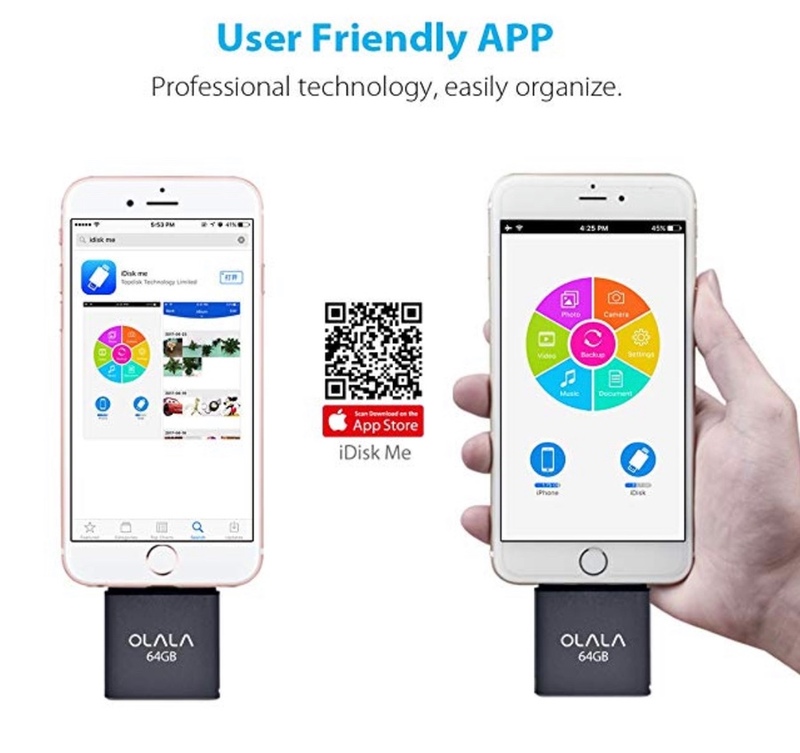 Your only option for expanding the storage comes in the form of a flash drive that connects straight to your phone or tablet using the Lightning port. 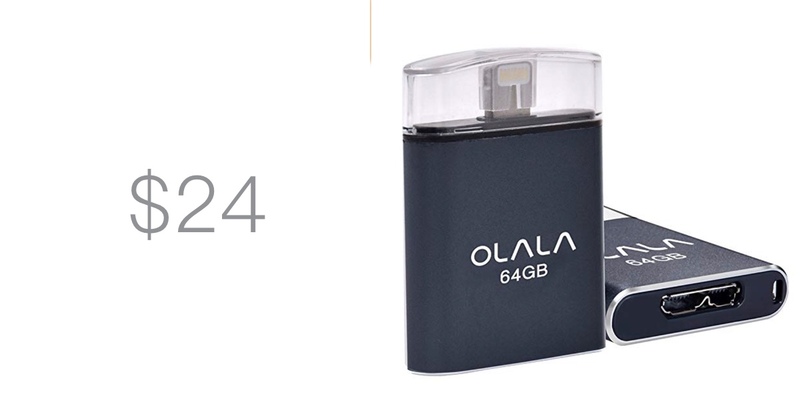 And we have a deal on such flash drive as well, courtesy OLALA. This particular flash drive allows you to add 64GB of storage to your iPhone or iPad, and has ample enough space to store photos, videos or files. But that’s not the great part about using this flash drive. You can even connect this drive straight to your PC or Mac using a micro USB cable too. This means that you can move files around different platforms without giving it a second thought. On iPhone or iPad, there’s a user-friendly app which allows you to move files around on the fly. It even gives you a breakdown of what sort of files you are carrying around in a wonderful visual way. This drive is not slow by any means either. You can expect speeds of up to 100MB/s on the read front while a respectable 30MB/s on the write front. Of course, this is not record breaking nor slow. It will get the job done. If you are interested in this product then simply head over to the link below. Make sure you enter the discount code at checkout in order to bring the price down to just $24.